Your opinion matters. Leave A Review Or Edit This Listing for Mt. 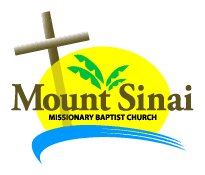 Sinai Missionary Baptist Church. The actual location is 311 Ring Rd Orlando, FL 32811 This is located behind the church but because it runs a school you are NOT allowed to go thru the church parking lot unless you are walking. I f you are in a car you have to go to Ring Rd. We always need more information on our pantries. If you know of any details, volunteer information, website, hours or more description information about Mt. Sinai Missionary Baptist Church please add a comment (below the map on this page), with information. We will then display this for all visitors on this page.